We are down to the third X-Men movie in the Xtraordinary series! Now X3 did have many great scenes (although the movie as a whole is an entirely different story!). The main problem is that these scenes only seem to be inserted for shock-value & to deem the movie trailer-worthy! And all of us know that though the movie sucked, the trailers were awesome! (Thankfully something that didnt happen in the case of X-Men First Class I hear). The scene I wanted to post out here was mainly the one in which Magneto stops the tuck holding Mystique & helps her escape. Other scenes I liked from the movie: Mystique in the interrogation room, Storm flying, Angel's wings & Magneto's bridge transportation (although this was one of those scenes that really wasn't needed & was just used for the drama & CG. Couldn't there have been a huge trailer truck on the road that the Brotherhood stood on top off & Magneto move that entire truck. But where's the fun in that! lol). Bottomline is that the video posted below is a X3 trailer, but hey, it contains most of the best scenes from X3. Enjoy! Next stop- X-Men Origins: Wolverine! AND THEN? I'll be going to see X-Men First Class on Friday! WUHOO! Watch the entire X-trilogy- in HD! Order your Blu-ray/DVD from out here if you don't have it yet! dude i feel your pain about the movie! Lol! 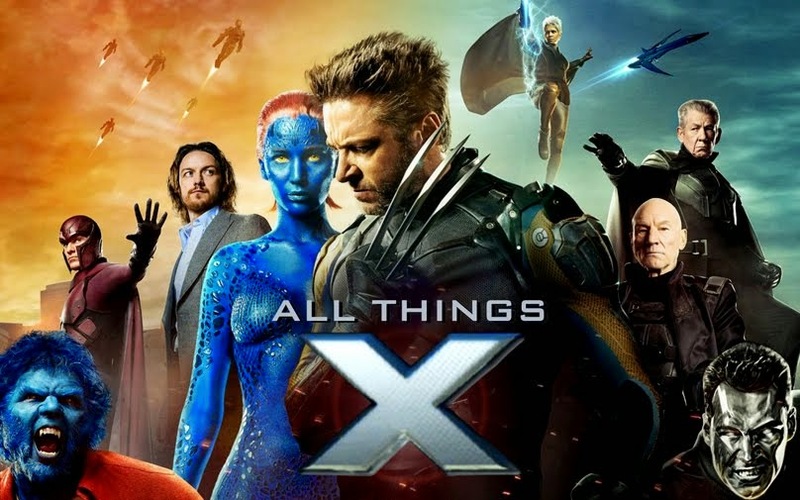 The truth is at the time when I first watched the movie in the cinema my only main grouse was about them getting rid of Mystique so early on...But soon after that I realized this wasn't the 3rd X-Men movie that we X-fans deserved!